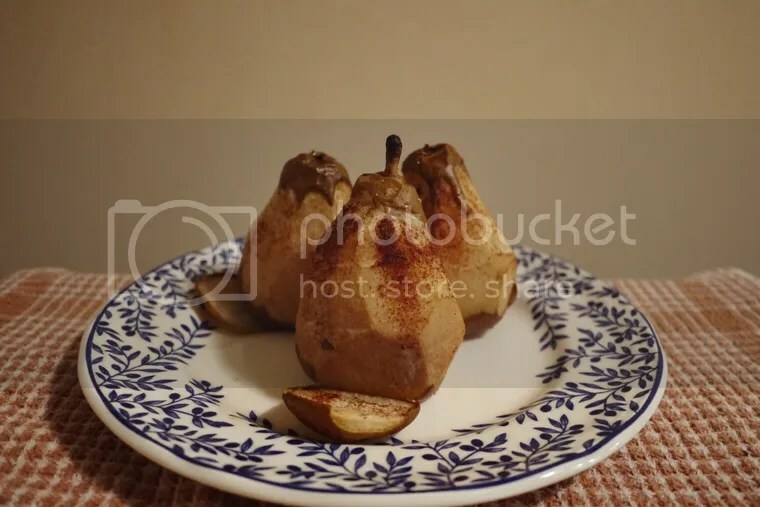 January 15: James made baked pears. Simpler than the kind he made awhile back and still delicious. Loved coming home to the scent of baked fruit and cinnamon! 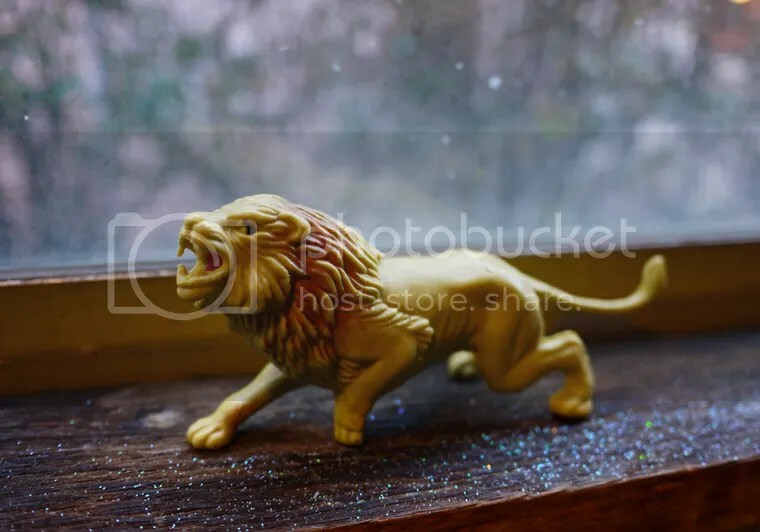 January 16: Glitter lion at the office. 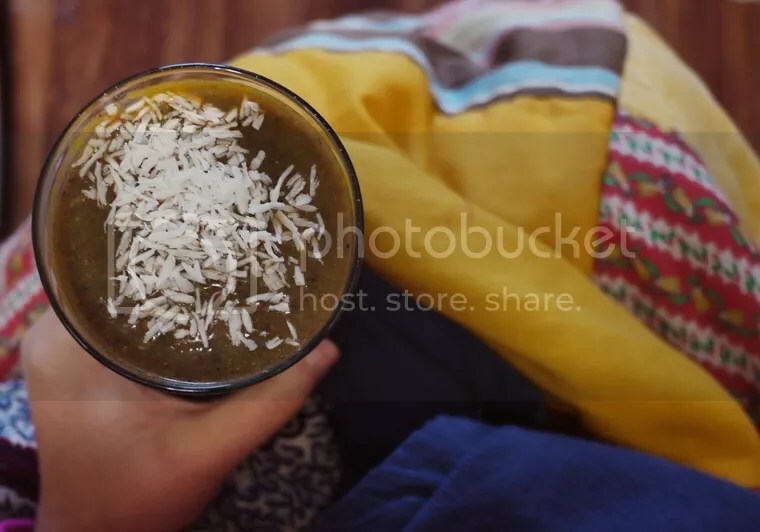 January 17: bundled up with a home smoothie (carrot, spinach, blueberry, ginger, coconut, chia). 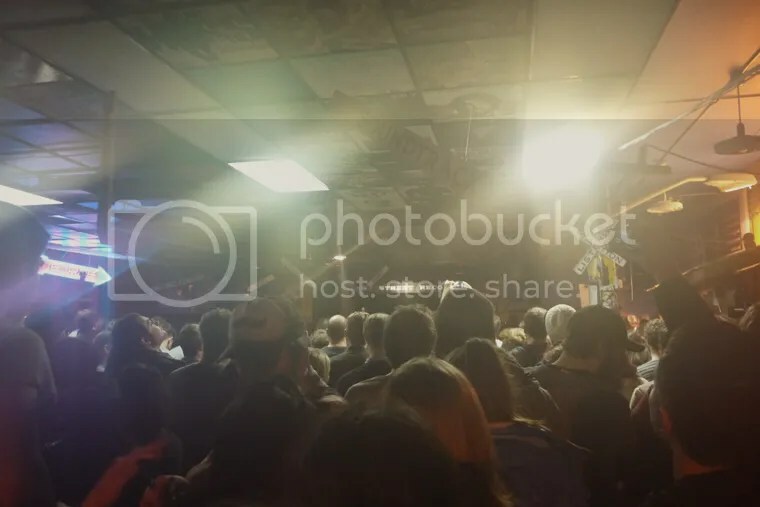 January 18: a sea of people listening to Yo La Tengo at Easy Street Records QA. I was afraid I’d miss it because I got out of work late but I got in for the last four songs. God, I will miss having you as a neighbor, Easy Street! 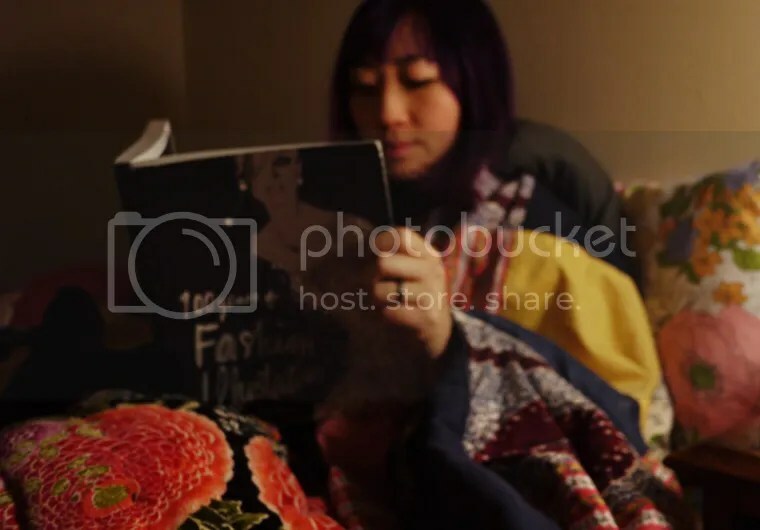 January 19: bundled up again. Blurry, blurry. PS: What a gorgeous book. Makes me wish I made clothes. January 20: Dean got the day off so we had a spur-of-the-moment date day in Ballard. 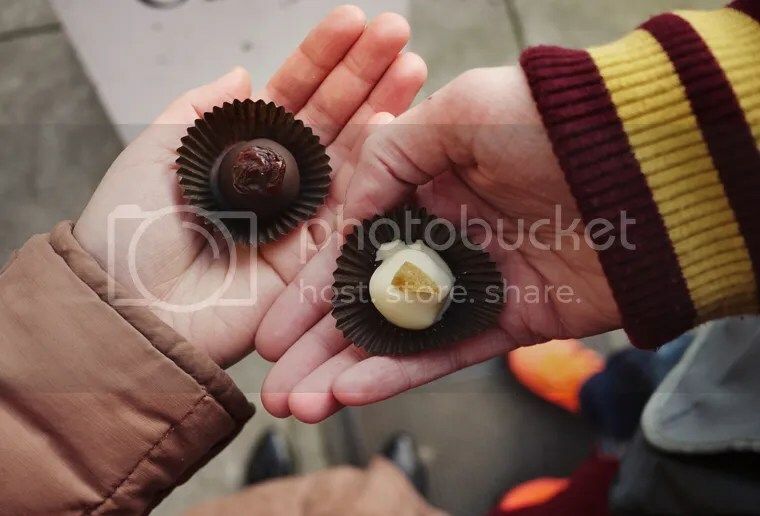 Truffles: vegan chocolate cherry vanilla (mine), white chocolate with lemoncello and lavender (his). Love Yo la tengo. Hope you’re feeling better. They’re great, and that was a wonderful night. Thanks so much!